Domestic violence is violence that occurs between people living under the same roof. It can occur between spouses or two adults, between adults and children. Anyone abusing one another in the same household is classified as domestic violence. 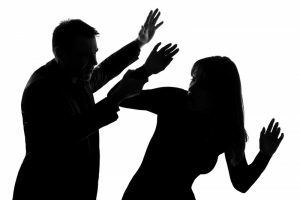 Domestic violence cases should be handled very carefully, which is why you should turn to Joseph Crudo, PLC for a criminal defense attorney in San Diego. We will not take your case lightly, and will go to any length to strengthen your case and prevent extreme consequences. Domestic violence is not taken lightly in courts regardless of how minor your charges are. One small charge can actually be life altering and change your freedom and future more than you think. Some of these consequences can include: 3 years of probation, fines, victim restitution, jail time, felony, counseling, and public work service. Parents may also have the custody of their children taken from them. It is important to get into contact with one of our San Diego criminal defense attorneys as soon as you know you are being investigated. We will try and stay ahead of the case by collecting our own evidence in preparation for your defense. In California, law enforcement agencies have made laws stricter than ever. As soon as 911 is called on you for domestic violence, no matter how minor, you can face an arrest or formal domestic violence charges. If no one decides to press charges against you, you can still face an arrest or charges from the state prosecutor. The state prosecutor becomes the sole decider one whether or not to press charges against the abuser. As your criminal defense attorney, we will do everything we need to do to defend you. This includes our start by working to get your case dismissed. If we fail, from there we will begin investigating your case by searching for evidence and interviewing witnesses. We will try and negotiate a fair deal with the district attorney, and if all else fails, we will go to trial. It is important that you do not tell anything to law enforcements until you have an attorney present, otherwise you might compromise your case. Need a Domestic Violence Lawyer? If you have been accused of domestic violence, do not hesitate to contact us as soon as are aware of an investigation or accusation. The sooner we can work on your case, the more time we have to work on your defense and prepare a strategy. Contact our office by calling 858-622-7280 for your free consultation with one of our criminal defense attorneys. Why Should I Get a Domestic Violence Attorney?